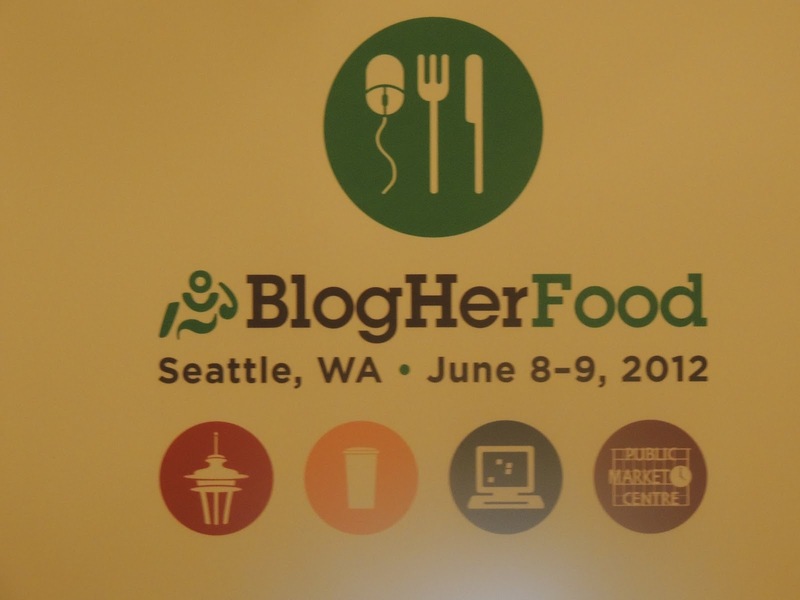 This last weekend Kevin and I attended the BlogHer Food conference in Seattle. Lucky for me we live about a hour from the hotel so no pain in the rear airport for this girl, just a nice relaxing drive. Did I say relaxing? Who the heck am I kidding? I was so excited I could barely sit still!! I didn’t know what I was more excited about, the classes and learning new things about food blogging, or meeting people like Jaden from The Steamy Kitchen, Todd and Diane from White On Rice Couple, or Maria and Josh (and little Caleb) from Two Peas and Their Pod? Of course the topper to the whole thing was the opportunity to meet Ree Drummond from the Pioneer Woman! I will tell you as a fairly newbie food blogger (I have only been blogging a little over a year) I was completely star struck to meet the faces behind the blogs that I love so much. But let me give you a bit of a run down on the weekend……..
First we show up at the hotel. 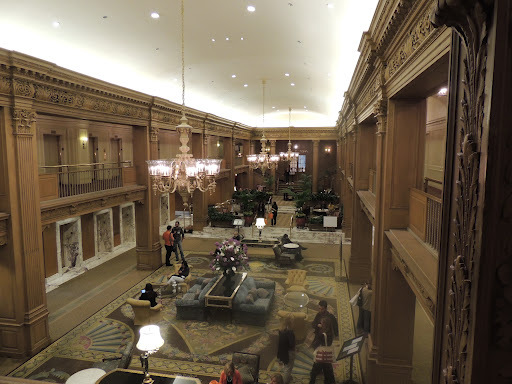 It was The Fairmont Olympic Hotel in Seattle and can I just say OhhEmmmGeeeee? This place was amaaazing!! 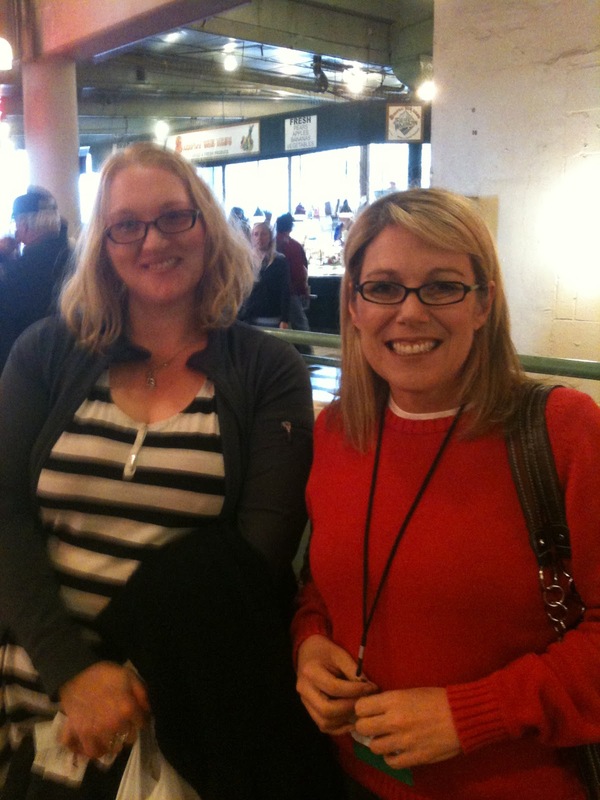 Our first night there we met Toni Spilsbury from The Busy Mom’s Guide to Making Dinner, Saving Time, and Saving Money. 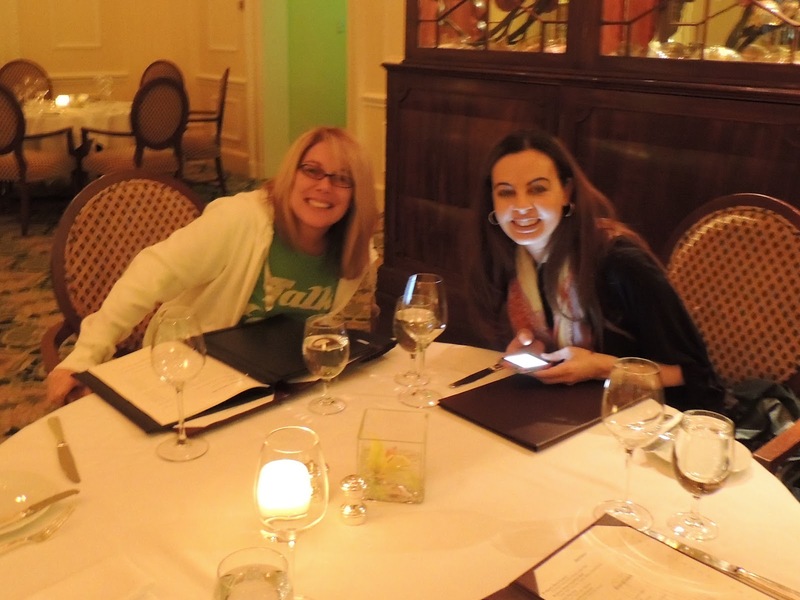 She is super nice and we had a great dinner at The Georgian in the hotel. They offered so many classes on so many topics it made choosing so difficult. I wished I could clone myself and go to everything! The first day I attended “Food Photography. 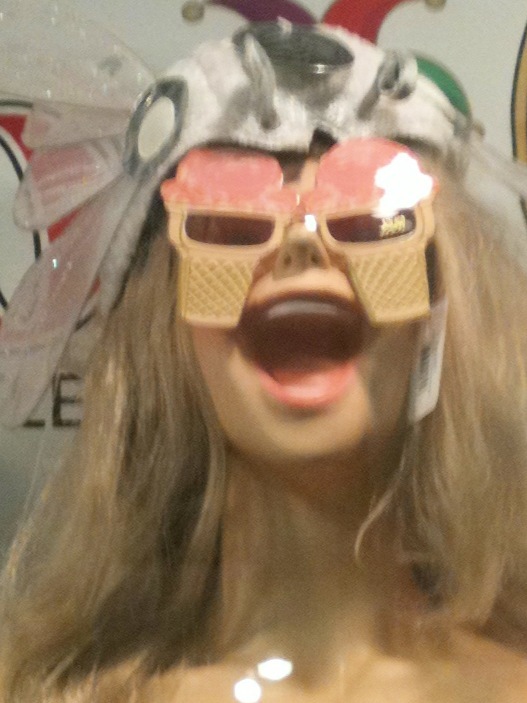 Trends Beyond Pretty”. I was a great class. They showed many different ways to photograph your food beyond just try to make it “pretty”. I know as a food blogger I hope to someday (soon) have pictures accepted by Foodgawker and Tastespotting. But they explained that you can’t try to cater to what those sites consider acceptable. Just as we have to find our own “voice” for our blogs, we have to find our own “eye” for photography. I loved some of the techniques they taught us, and now that I have a new camera I am very excited to start trying some of them! There were classes in taking control of your blogs destiny, which explained the nuts and bolts of how your blog is actually seen by the your readers. Very interesting. Also how to build a career with your food blog, which I hope to someday be able to do. Food and cooking are such a passion for me that making this a career would be a dream come true!! I also attended a class on writing a cookbook. I have thought about that for quite some time so that was extremely informative. All in total there were 20 different classes you could choose from. Like I said, I wish I could have attended them all! During the conference there was an app you could download so you could participate in a Scavenger Hunt. I couldn’t get mine to work until Saturday so most of Saturday afternoon was spent running around taking pictures of things to submit for the hunt. 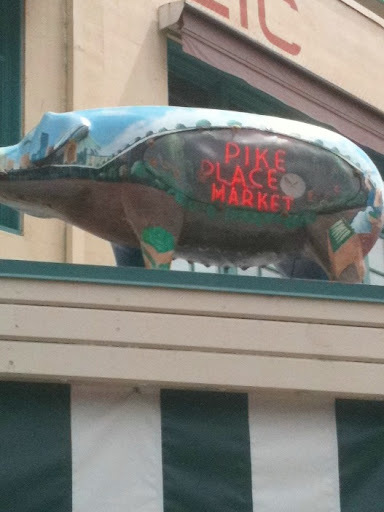 We had a blast walking around Pikes Place Market looking for the items they gave us clues for. Several of the things we needed required asking random people if we could take a picture of them doing something like using a tablet, or eating. Here are just a few we had to take. A pig you can’t eat. 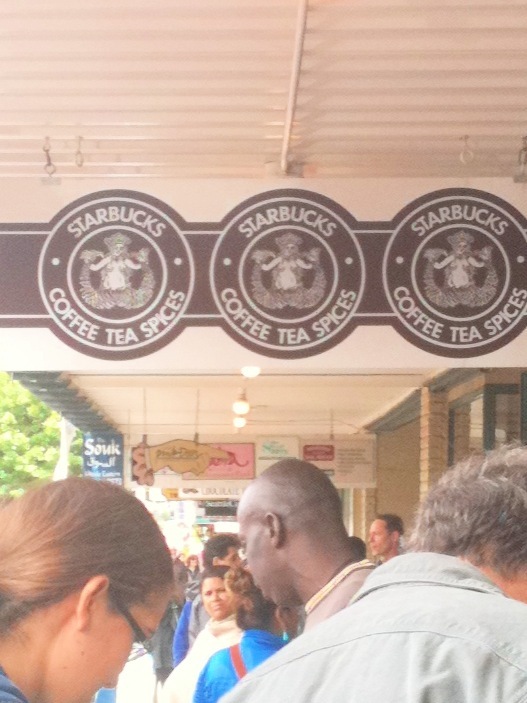 The birthplace of caffeine addiction. 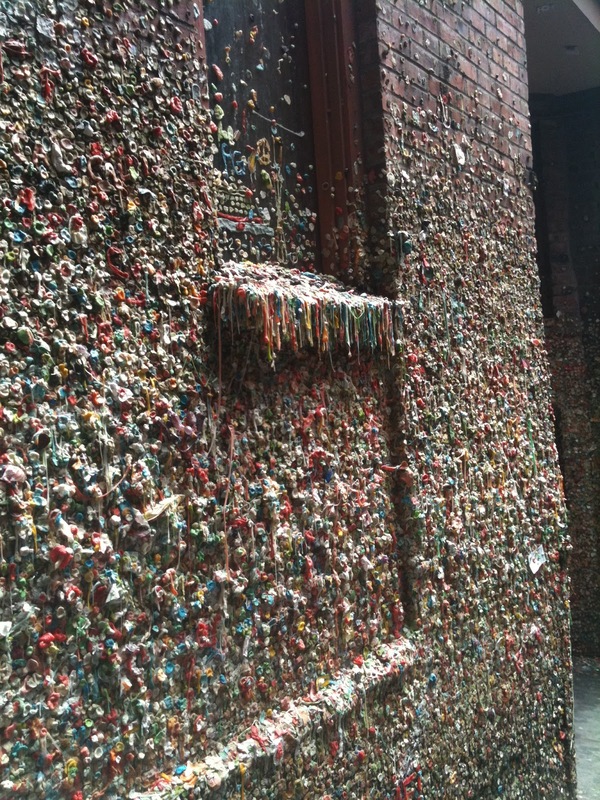 A wall of gum (eeww). Find your doppelganger. And soooo much more. All in all there were 65 pictures you had to take. 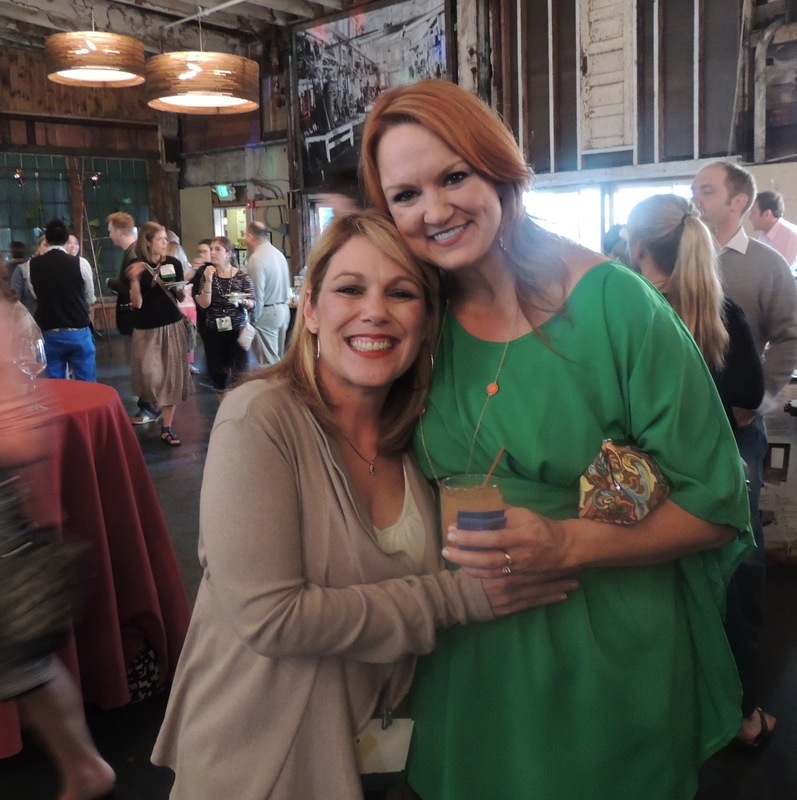 Of course the grand finale was a reception at Sodo Park where we had the opportunity to meet Ree Drummond. She is just as sweet in person as she seems on her show. I had so hoped I would win the scavenger hunt because the prize for winning was a ticket to the next BlogHer conference in New York!! But I missed 4 pictures so I didn’t win *sigh* I can tell you though that this will not be my last conference. Between the fun and terrific information. I am hooked and can’t wait until we go again!! !